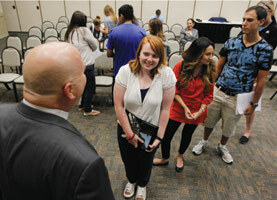 Career expert Don Asher ’83 helps Gen Y navigate a grim job market. The job interview was not going well. The year was 1983, and Don Asher had just graduated from Reed with a degree in philosophy/religion, having written his thesis on the Platonic dialogues. Spotting an ad in the newspaper, he applied for a position with a résumé-writing service. Unfortunately, now that he was sitting face to face in the office of his prospective employer, the boss seemed singularly unimpressed. Don was desperate. “I came all the way out here,” he pleaded. “Let me just show you what I can do.” And he buried the man’s desk in a pile of his own résumés—each a different presentation of the same set of skills. The next day, he got the job. A few years later, Don wanted to write a book about getting into grad school. The editor at Ten Speed Press had ignored his first five attempts at pitching a book. Don started calling the editor every morning and sending his pitch in outlandish packages, such as a messenger tube with a ribbon tied around it. “Finally, on the seventh day, he took my call,” he says. Imagination. Planning. Persistence. These are some of the key qualities that Don emphasizes in his remarkable 12 books on career hunting, college applications, and résumé-building, not to mention scores of articles (many with playful headlines such as “How to Shave a Year off the PhD” and “Why College Grads Still Cannot Find a Job”). 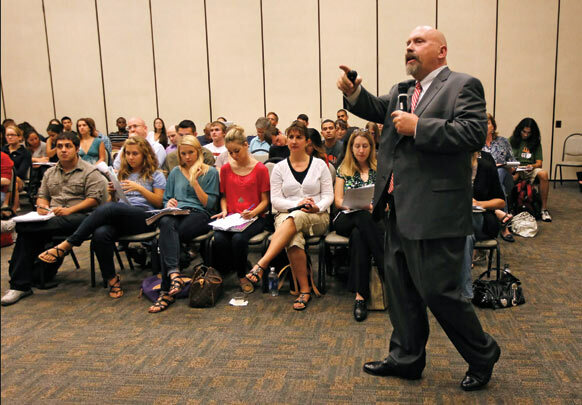 He lectures around the country and acts as a consultant for executives on hiring and career change. 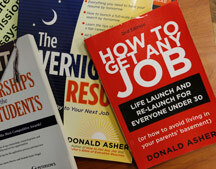 One of his titles is particularly, even painfully, relevant for recent Reed grads entering the job market: How to Get Any Job: Life Launch and Re-Launch for Everyone Under 30, or How to Avoid Living In Your Parents’ Basement (Ten Speed Press). Today’s graduates are entering into an unnerving job market, with national unemployment hovering above 9 percent. In that climate, it’s hard to turn down a gig washing dishes at a vegan restaurant or stocking shelves at Trader Joe’s. Idealistic Reedies, Don says, often have high aspirations for their future careers, but sometimes get discouraged because the jobs that fit those career models just don’t exist. Or, do they? How to Get Any Job approaches the job search from a platform of self-invention, suggesting that talented people should craft a career to fit their needs, rather than searching for acceptable jobs they can live with. He advises recent grads to engage in something he calls “life planning,” a systematic approach to uniting individual passions, long-term goals, and services that the world needs. In doing so, he believes that career seekers have the freedom to design a truly satisfying path and avoid simply taking jobs to pay the rent. Sometimes, after all, the ideal job just isn’t going to be listed at the employment bureau. The first step for successful life planning is to take a hard, honest look at yourself: what are your top five obsessions? What do you truly enjoy doing that could in some way turn into a career? What about those of us who rebel at the thought of putting on a suit and covering up our tattoos? Fear not. Even as Don strides through the corridors of corporate America, he is equally comfortable at Burning Man surrounded by fire spinners. Which is sort of a relief, frankly. You can succeed in business and still be a Reedie, after all. Make a Career Your Goal: Decide to get a career track position, not just a job. It may take months, but you have to stay in the game to win. Keep refining your long-term goals and keep an eye out for the position that takes you there. Don’t Settle: Even if you get a job as a dishwasher, keep trying for career-track positions. Take a job and keep right on looking if it’s not the right one. Some successful people start a new job on Monday morning and then send out a bunch of résumés on Monday night. Diversify Your Options: A lot of Reedies are idealistic and they overlook opportunities. Don’t be afraid of the business world. Look at corporate employers. It’s a lot easier to stand out at IBM than at the Hawthorne Street Fair. Volunteer: It puts you in contact with people who have time and money to volunteer. These kinds of people can lead you into circles you might otherwise not know about. Network: Make people talk to you about their careers. Statistically, if you can get 10 people to introduce you to their boss, you have a two-thirds chance of getting a job. Mary O’Hara ’12 is writing her thesis on the movement for the economic rights of artists. She also works as a journalist and an advocate for LGBTQ youth. Last year Don shared his insights on career-building at alumni events in Chicago, DC, LA, NYC, Seattle, and SF. 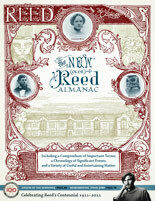 For more alumni activities, see www.reed.edu/alumni. For more on Don, see www.donaldasher.com.